Safety - Aarvak Services, Inc. It is necessary that all personnel take the responsibility of practicing safe work practices, as well as to respect our client’s safety policies and procedures. Aarvak Service’s philosophy is that all accidents can be prevented and the company is committed to a goal of “Zero” accidents. We at Aarvak Services believe that management holds the responsibility to provide the safest workplace possible. It is also Aarvak Services’ belief that the employees are responsible for preventing personal injury to themselves along with their co-workers. It is Aarvak Services, policy to provide a safe and healthful workplace for every employee; and to abide by and enforce those safety practices, techniques, rules and regulations that apply to their workplaces which have been proven acceptable and effective. 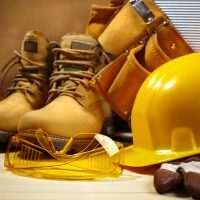 The Company will endeavor to provide safe working conditions, equipment and necessary personal protective equipment, or will exert every effort to assure that equipment that is used but not supplied by the Company is acceptable, and will utilize other controls as needed or applicable. In case of injury, proper first aid and medical services will be made available. Every reasonable effort will be made in the interest of accident prevention, fire protection and health preservation. We have a well-documented and adhered to QA/QC procedure in place. Our Procedures are structured to ISO 9001 but we have not yet received certification. Quality saves time and money. Our Quality Process does not sponsor post inspection and checking as a basic activity. It sponsors “doing it right the first time”. Aarvak Services has a group composed of various levels of staff that review ideas to improve our company in the areas of Loss Management, Total Quality Management, Total Quality Management and Quality Assurance/Quality Control. We empower our employees to question a practice that does not seem quite right to them or one for which a better method may exist. We have an implementation procedure for making change and obtaining cooperation. The handling of vendor approval drawings was a recent example of improvements being suggested from within Aarvak Services and management buying into the suggestion being implemented. Aarvak Services has a formal written procedure for the Safety of its personnel. Contractor policies are reviewed to ensure conformance to our program and that of our clients. As well, the records of the third party suppliers and contractors are carefully scrutinized in this regard. At the present, we utilize certain staff members who have a strong background in construction and operations supplemented as required by third party expertise. All personnel within Aarvak Services have had the required safety training to insure they are performing their work in a safe and optimal manner. No person in the company is allowed on any job site without prior review of the client’s safety program or company orientation. We have been involved in Safety Programs of our alliance partners in tracking contractor safety records and direct correlation was drawn between quality and workmanship. With regard to environment protection, we adhere to all applicable codes when doing our designs. We also advise our Clients of impending legislation and ensure that all of our staff is knowledgeable of the regulations. We use third parties for concerns that involve noise studies that are out of the ordinary. We also conduct Process Safety Reviews (What if Studies) in conjunction with Clients staff to identify any potentially troublesome areas and do risk assessment / mitigation. Safety is our number one top priority at Aarvak Services, Inc.